Once again I am trolling along my bookshelves to talk about one of my favorite, older books. 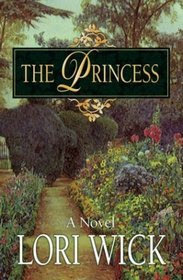 This month I'd like to highlight The Princess by Lori Wick. Unfortunately I couldn't find contact information for Mrs. Wick so there is no author interview this month. That doesn't make the book any less fabulous! As a reader of a lot of historical fiction, a plot surrounding an arranged marriage is not all that unusual. This is not an historical novel. It was originally published in 1999, so it's not exactly "present day" but it is a contemporary. As are many books involving small monarchies, the location is a fictional country, but it's very easy to picture. I was introduced to Lori Wick's books by a friend in college. (She reads this blog so I will now pause to wave wildly at her!) I had to read it very carefully the first time I read it because this particular friend keeps all of her books in mint condition. Seriously, she doesn't break the bindings which is an amazing feat on some of her books. But I digress. What makes this book one I pick up every few years and read again? I think it's because the couple had to make it work. In many romance novels there is always the option to walk away. The couple can break up. Even though you know they are going to end up together at the end of the book, there is that element of suspense because they can walk away from each other at any time. Since the wedding in The Princess happens in chapter three, they're pretty much stuck with each other. This puts a completely different spin on the relationship the couple forms. There are so many dynamics that a modern couple would not normally have to deal with when falling in love - like sharing a kitchen but not a bedroom and having their relationship held up in front of an entire country because they are part of the monarchy. One of the interesting things you see in this book that you don't see in many Christian romances is the consideration of the physical side of the relationship. (In a completely clean way, of course. I'm mostly talking about the emotional side of it.) Because they are married, it's okay for them to find each other physically attractive and to even decide to act upon that attraction. It plays a rather crucial part in the development of their relationship. The journey is believable and enjoyable. It has moments of humor but you won't be laughing out loud at this book. In the Land of Pendaran, Shelby Parker lives a humble but good life. Her special qualities are eventually noticed by the king and queen of the House of Markham, who seek a new wife for their widowed son, Prince Nikolai. 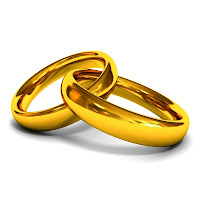 To uphold the tradition of their country, Shelby and Nikolai agree to an arranged marriage. But while Nikolai is a perfect gentleman in public, he remains distant at home, leaving Shelby to wonder what is in his heart. Will the prince ever love her as he did his first wife? Can the faith they share overcome the barriers between them? This book can be purchased in print and ebook format from almost any major book dealer, including amazon, Barnes and Noble, and CBD (Christian Book Distributors). I am cracking up here...I know I'm really weird about books. :) I recently shocked some friends with the news that I don't write in my Bible, lol. I haven't read The Princess in a while...may have to pull it out again soon.